HERE ARE OUR GUIDES AT HOW THE GAME SHOULD BE PLAYED. AVOID BODY CONTACT AT ALL TIMES. DURING PASSING AND DIRECTING THE PUCK AT THE NET. THE NETMINDER AS WELL AS OTHERS COMING OFF AT THE SAME TIME. ONLY THE FIRST ONE OFF THE BENCH GOES TO THE NET. 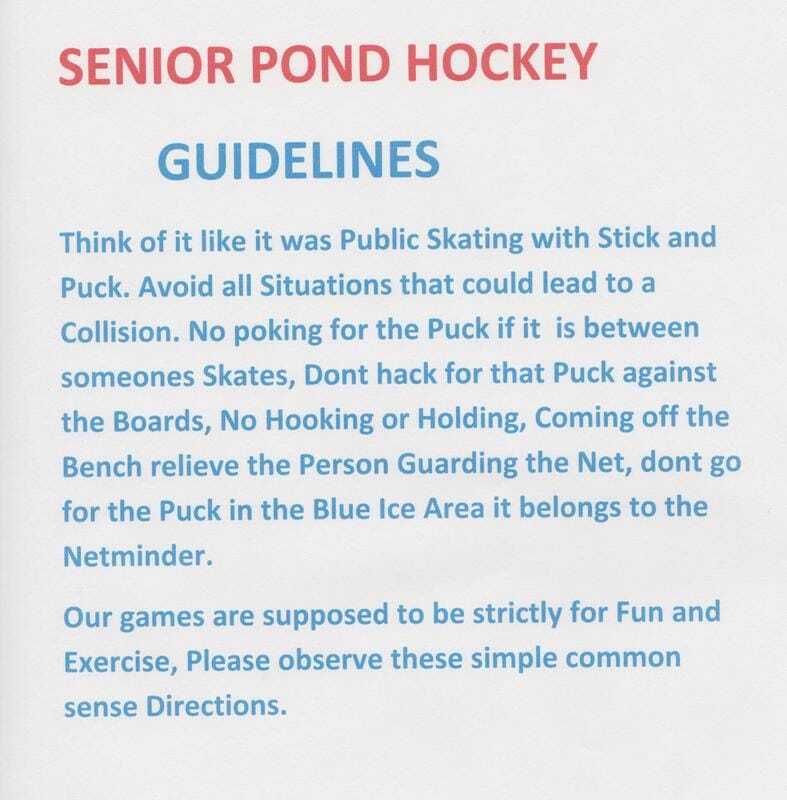 ​Please dont get to intense on the Ice, Play like this Game should be played avoid any situation that could lead to someone getting hurt, and dont try to be a Hero.